President of the Malawi Law Society (MLS) has called for the prosecution of cabinet ministers who he says orchestrated a failed “constitutional coup d’état” following the death of President Bingu wa Mutharika. Section 83 (4) of the constitution stipulates that when a sitting president dies or is incapacitated the vice president automatically takes the reins of power. John Gift Mwakhwawa, chairman of the law society, said the ministers should be held accountable for refusing to support Vice President Joyce Banda. Instead, they supported the president’s brother, Foreign Affairs Minister Peter Arthur Mutharika, a move Mwakhwawa called a treasonable act under Malawi’s constitution. “We examined the state of affairs, and what we found was that the ministers who were involved in what has so far been termed as a constitutional coup were committing a crime under our penal code, and that crime is a crime of treason,” said Mwakhwawa. Cabinet ministers reportedly convened a meeting without Vice President Joyce Banda immediately after Mr. Mutharika was declared dead after he suffered a heart attack. Some of the ministers proposed the president’s younger brother as president. On April 6, six cabinet ministers led by information minister Patricia Kaliati, held a news conference stating that Ms. Banda had no mandate to rule because she was dismissed from the ruling Democratic Progressive Party (DPP). Following her expulsion, Ms. Banda formed the People’s Party (PP). 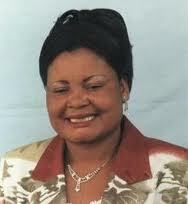 Mwakhwawa said that Banda’s party affiliation doesn’t preclude her from the presidency. Ms. Banda was sworn in as president on April 7. Mwakhwawa said respect for the rule of law thwarted the failed attempt to subvert the constitution. Some Malawians expressed concern the ministers’ action undermined the constitution, which they said, could have led to violence and chaos. The accused officials include sports minister Symon Vuwa Kaunda, Health and Population Services minister Dr. Jean Kalilani, Local Government Minister Henry Mussa, deputy ministers in the office of the president Nicholas Dausi and deputy Foreign Affairs minister Kondwani Nakhumwa. Mwakhwawa said the prosecution of the accused ministers should be expedited.